Properties in Aripeka average 4.7 out of 5 stars. Property 8: Come Enjoy Sea-renity!!! Property 10: Penthouse w/800 Sq Foot Private Rooftop Patio - #1 Rated VRBO & Many Extras! Property 13: Beautiful Waterfront Retreat! Waterfront Sanctuary: Swimming, Boating, Fishing, Kayaking and Fun! Property 14: Waterfront Sanctuary: Swimming, Boating, Fishing, Kayaking and Fun! Relax and Recharge on Beautiful Private Island Oasis. Amazing Sunsets ! Property 18: Relax and Recharge on Beautiful Private Island Oasis. Amazing Sunsets ! Home Away from home! SCALLOP SEASON IS COMING.BOAT DOCK**KAYAKS, BIKES, BBQ. Property 25: Home Away from home! SCALLOP SEASON IS COMING.BOAT DOCK**KAYAKS, BIKES, BBQ. Property 26: NEWER LISTING! ENCHANTING 2/2 Riverfront Cottage. FREE KAYAKS, BIKES & MORE! Luxury Gulf Island Resort Condo With Spectacular Views! 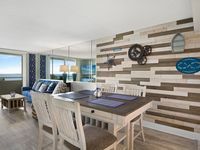 Property 32: Luxury Gulf Island Resort Condo With Spectacular Views! 100% 5 STAR RATINGS FROM OUR GUESTS FOR OVER 3 YEARS! Property 33: 100% 5 STAR RATINGS FROM OUR GUESTS FOR OVER 3 YEARS! Paradise in Hudson, stunning Gulf views, with 1st class fishing and boating. Property 34: Paradise in Hudson, stunning Gulf views, with 1st class fishing and boating. 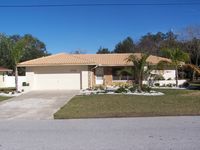 Waterfront Pool Home 5 min from beach, kayaks, bikes, pool table! Property 37: Waterfront Pool Home 5 min from beach, kayaks, bikes, pool table! Property 40: Waterfront Hernando Beach Home w/ Dock & Hot Tub! 1/1 Gulf Island Beach and Tennis Club! Property 47: 1/1 Gulf Island Beach and Tennis Club! Property 48: Tropical Tranquility By the GULF OF MEXICO!! We enjoyed our stay on the Gulf and Florida didn&rsquo;t disappoint. Our condo was perfect&mdash; we had everything we needed. Our host checked on us to ensure that things were to our liking and was very accommodating. The condo was gorgeous with a view that could not have been better. The pool and amenities at the resort ensured that regardless of the time of day, we always had something to do. Highly recommend and are looking forward to our next trip.